In-built tracking and measurement metrics gather valuable user interaction data which is collated and analysed and inferences are drawn. Based on these inferences customer Personas are prepared. Content or digital interactivity is tweaked to ensure that relevant content and user experience is made available to those personas. Our approach towards developing successful, long-term, digital customer engagement solutions is a ‘Spiral’ that continuously evolves through ceaseless mining of behavioral data. 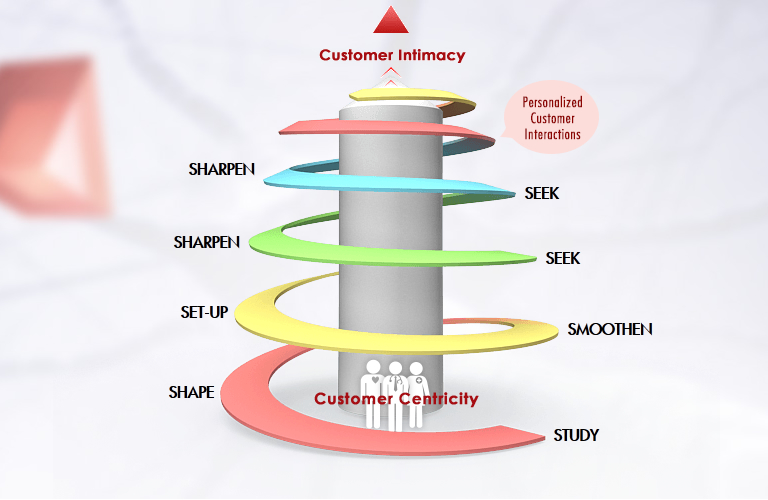 These customer insights lead to incremental changes in the engagement solution over time thus achieving greater personalization of customer interactions and enhancing customer intimacy with your brand.